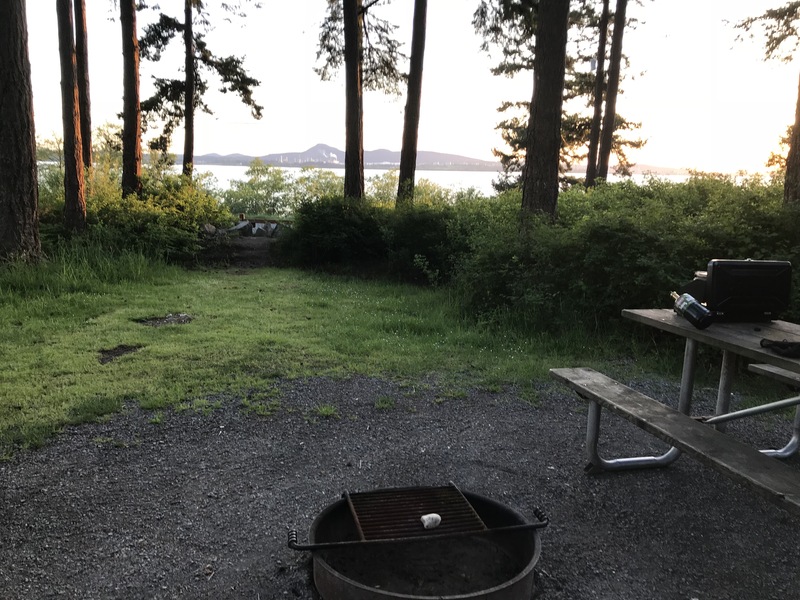 Last summer we never got to camping. Not for lack of trying but first having a newborn we wanted to get into the swing of things then summer got busy with other travel and events and everything else booked up. 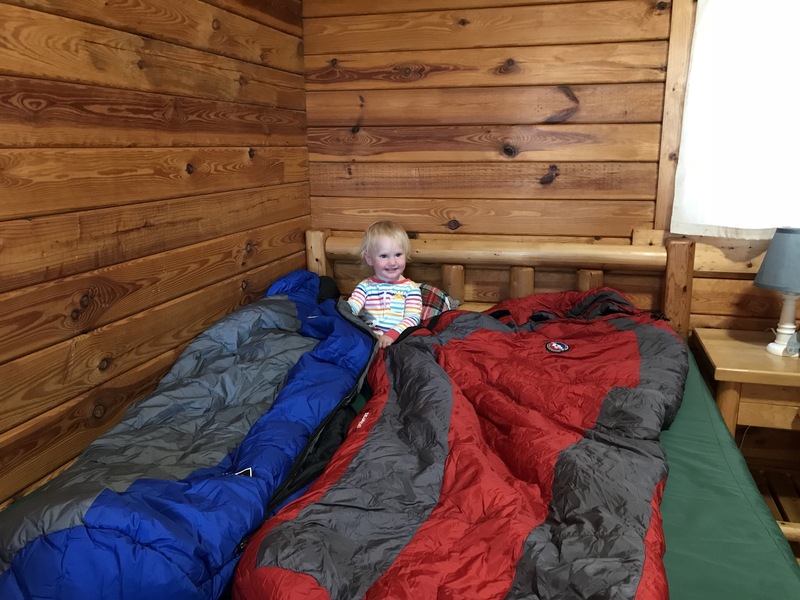 I wasn’t ready to just show up for a first come first serve site with a baby so we deferred camping (not kayaking or other outdoor adventures though!). 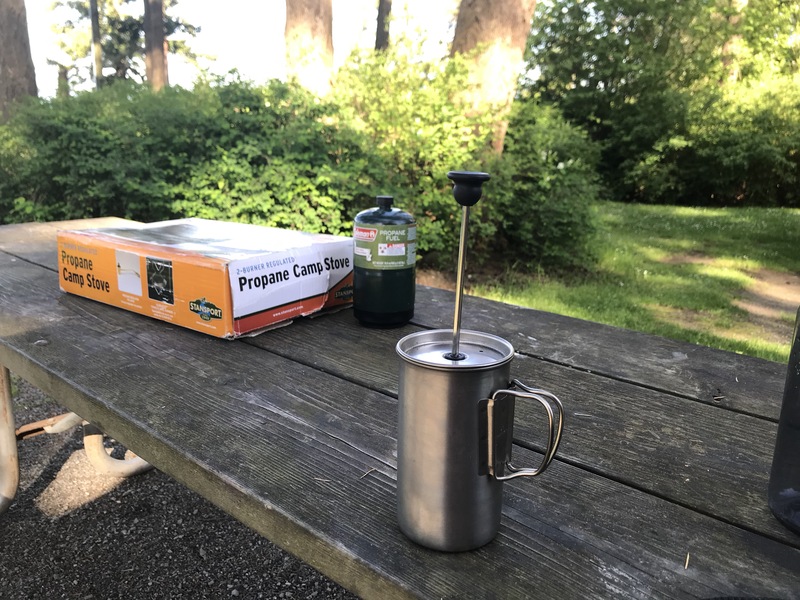 For Mother’s Day we finally took Kaya camping. Er, well, glamping anyway! 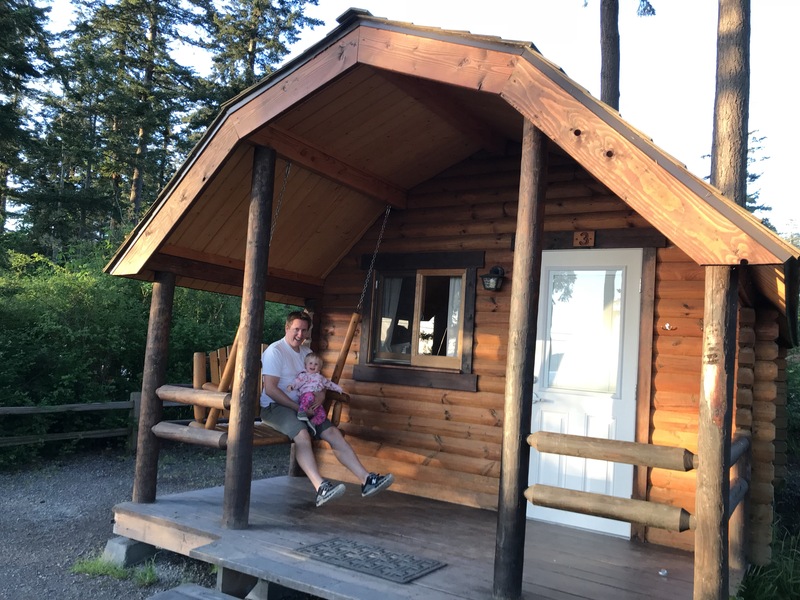 We stayed in a pretty, clean, one bedroom cabin at Bay View State Park. Parking wasn’t too far away for unloading and there was a porch swing in front (along with a picnic table, fire pit, and a view of a Bay, go figure). What more could we want?! There was even a heater inside, which was great for May. We tried out the folding high chair we got second hand. 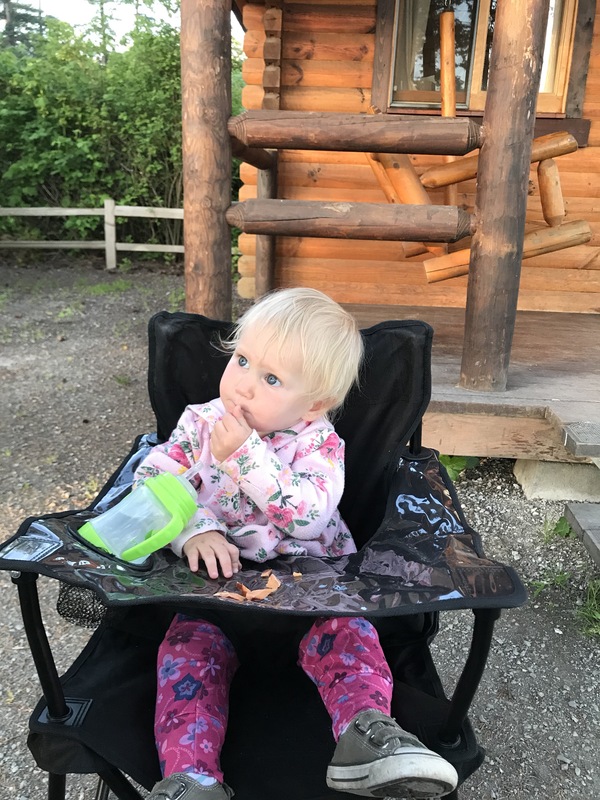 It worked well for what we needed but the tray was a bit flimsy so the food tended to fall into her lap, and the cup holder was a bit small for sippy cups. But it was fine and I’m glad we brought it this trip.